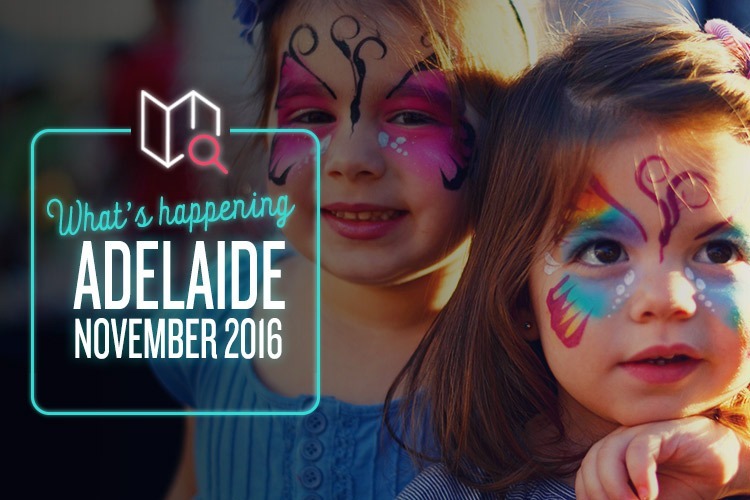 From exotic French markets to sweeping landscapes of Lego, there’s plenty to see, do and taste in Adelaide this month. Campbelltown’s Moonlight Markets have come back to town, and we couldn’t be more excited! These markets were devised by the local council to showcase Campbelltown’s energy, culture and creativity – and the fact that they’re now in their fifth triumphant year should tell you they’ve got plenty of each. You could happily spend hours browsing the various arts, crafts, fashion and homeware stalls (Christmas is on its way, after all! ), and you definitely won’t want to miss the famously yummy Flavours of Campbelltown Food Trail. One hint: wear stretchy pants! Playing around with Lego is one of those things you never really grow out of. Sure, you might think you have, but put yourself alone in a room with a load of bricks and see what happens. Fortunately, Inside the Brick is here to cater to big and little kids alike, offering a full weekend of clicky, snappy, colourful goodness. Wander around the exhibition hall and marvel at the incredible constructs, and dive into the huge Build Zone to see what you can come up with. You get a discount on tickets if you buy online, but do it soon! Last year’s event sold out fast. Starting out as a Christmas-themed French market, Bonjour Adelaide has since expanded to encompass all things français. It’s a lovely way to kick off both the summer and the festive season, and it’s the closest you can possibly get to a French marketplace without actually leaving the country. There will be loads of stalls where you can buy jewellery, gifts, and homewares, as well as delicious French food courtesy of Coffee & Crepes, Frencheese, La Bastide and Mulots Patisserie. Oh, and don’t forget to buy a raffle ticket for the chance to win some fancy champagne, a year’s worth of French classes, or even a trip to Paris. Sacre bleu! The Supanova Pop Culture Expo is an unmissable event for fans of comics, TV, movies, games, collectables and more. The cosplay is amazing, the vendors plentiful, and the guest list is out of this world. This year’s expo features actors (Nathan Fillion, Karen Fukuhara, Lucy Hale), voice actors (Steve Blum, Mary Elizabeth McGlynn, John DiMaggio), artists (Phil Noto, Mico Suayan, Michal Dutkiewicz), authors (Alison Goodman, Alan Baxter, Jane Abbott) and musicians (Tracy W. Bush, Meri Amber). It’s gonna be good, so you’d better buy your tickets now!